Assorted steel washers. 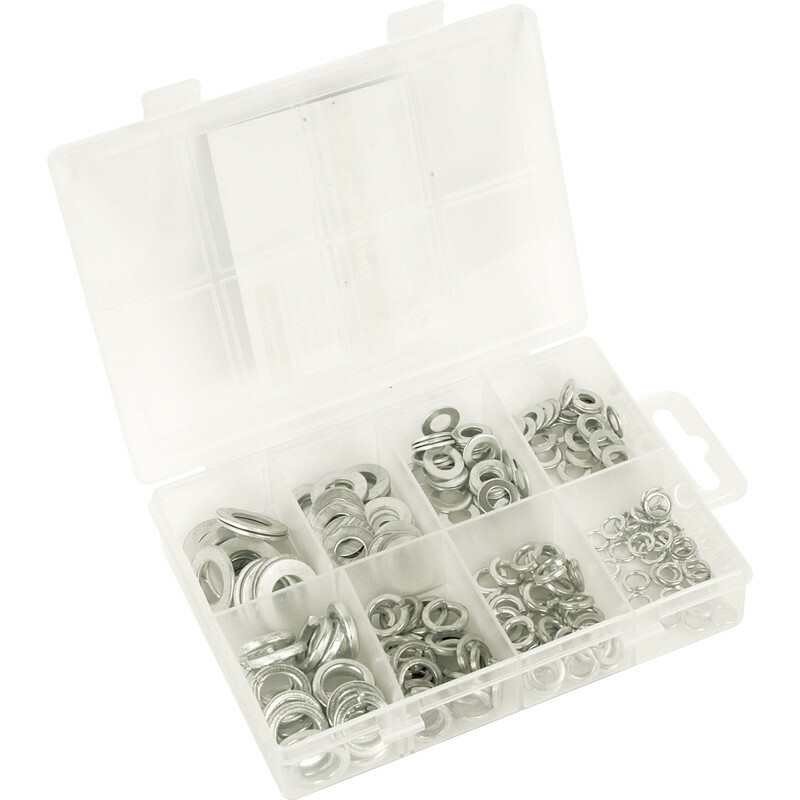 Pack contains flat and spring washers,in a mini pack organiser case. Steel Washer Pack (210 Piece) is rated 4.9 out of 5 by 11. Rated 5 out of 5 by bill54 from As expected Good product great price. Rated 5 out of 5 by Wozzy from Great choice Great value .used most of em already .I'll be going back for more soon . Rated 5 out of 5 by mewee from washers exactly what i wanted and have spares i always seem to look for. Rated 5 out of 5 by PER1 from useful Useful and good value. In stock.